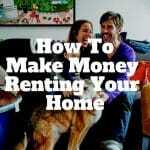 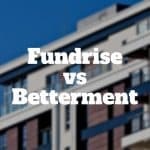 Fundrise is an online real estate crowdfunding site while Betterment is an online robo advisor however both charge low fees and offer passive income opportunities. 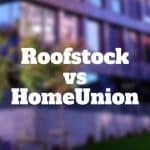 Roofstock vs HomeUnion is a comparison between two turnkey real estate marketplaces that connect property investors to single family rentals and up to 4-unit complexes featuring pre-vetted tenants and property managers. 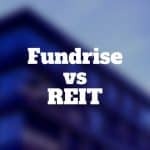 Fundrise is an online real estate crowdfunding site while REIT investments can be publicly or privately traded investment vehicles designed to provide investors with cash flow from diversified property portfolios. 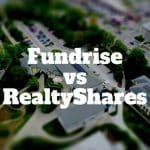 Compare Fundrise vs RealtyShares on fees, account minimums, geographic coverage, and investment focus to see which real estate crowdfunding site is best for you. 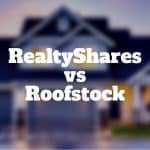 Compare RealtyShares vs Roofstock on fees, account minimums, geographic coverage, and investment focus to see which real estate crowdfunding site is best for you. 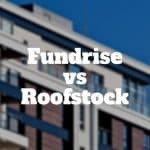 Compare Fundrise vs Roofstock on fees, account minimums, geographic coverage, and investment focus to see which real estate crowdfunding site is best for you. 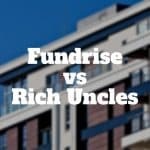 Compare Fundrise vs Rich Uncles on fees, account minimums, geographic coverage, and investment focus to see which real estate crowdfunding site is best for you. 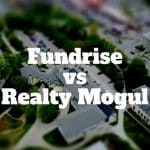 Compare Fundrise vs Realty Mogul on fees, account minimums, geographic coverage, and investment focus to see which real estate crowdfunding site is best for you. 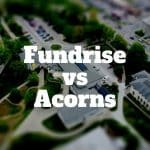 Our Fundrise vs Acorns comparison shows Acorns has lower investment minimums and fees while Fundrise offers investors passive income quarterly.